Get in touch with us here at Bondi Dentistry today to take your family's first step toward good oral health. Our practice in Bondi is within easy access by car as well as public traffic. 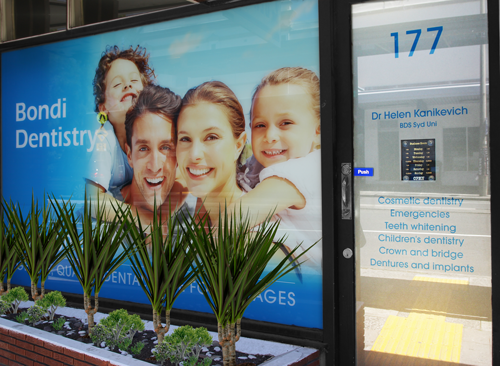 Bondi Dentistry is conveniently situated in the heart of Bondi Beach - on Glenayr Avenue. In fact, we are RIGHT behind the bus stop! There are several convenient way to get to us at 177 Glenayr Avenue, Bondi Beach. Departure bus stop is prepay only between 7am and 7pm, Monday to Friday. Purchase a ticket before boarding. We are conveniently located near the residential end of Hall Street, Bondi - this means that you will be able to find plenty of on-street parking.